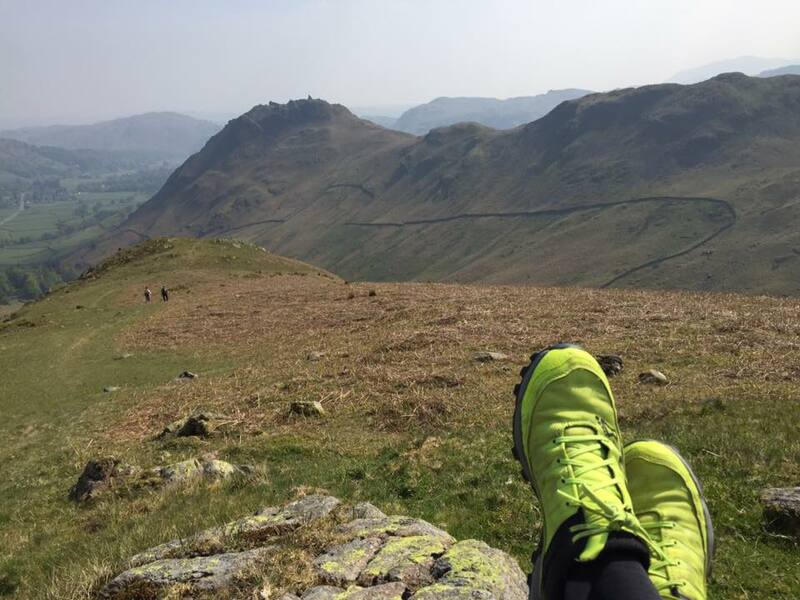 “How on earth will you train for that?” has been the response I’ve had from quite a few people upon reading or hearing about my 2018 Lakes Traverse event. After all, ‘running’ 60 miles without stopping (well, without stopping overnight somewhere for a sleep - I’m sure I’ll be pausing along the way!) isn’t something that most of us normally do, never mind across a mountain range. So with the race now just under 6 months away and my training started, I’ll share what I plan to do. First though, I’ll take a step back, back to 6 months ago, when I decided to enter this race. Although my formal training plan did not start then, from the minute I clicked on the ‘enter’ button, my mind switched to preparing my body to run 60 mountainous miles. I knew, having not done a challenge this big for a while, I needed to make sure that come November I’d be in good enough shape to train, and train well. So all summer and autumn I’ve been making sure that my runs were on as difficult a terrain as possible (a great excuse to sneak in some trips to the Peaks and the Lakes!) and working hard on building my strength and agility in particular, so that my body can cope with an increased training load. But most of all, I’ve been running lots of easy miles, really easy miles; the kind of miles where I’m not out of breath at all, and the kind of miles that will provide a great foundation for the harder training to come. Can you tell I love running in the Lakes? So with my pre-training training done, what next? I’ve devised my training plan based on what I know my body should be able to cope with, working on a traditional 4-week cycle. For 3 weeks I’ll gradually increase my training load (overall mileage and the length of the weekly long run) and then for the 4th, I’ll have an easier, recovery week. Each 4-week block will get progressively more challenging, until the final one when I’ll reduce back down to ensure my body and mind are fresh for the race. I’ll be building up to 50 mile weeks; I know that’s about my limit before injury and illness become a real risk. Within each week, nearly all of the miles will be easy running (or sometimes walking - I’ll be walking the uphills in the race, so I need to be practising that from the start), but I’ll allow myself one ‘speed’ session each week to keep me on my toes, so to speak (plus, I really can’t bring myself to give up my cross country and parkrun addictions!) What I will also make sure is that as much of my running as possible is on rough and hilly terrain; as I don’t live in the mountains, that means being creative with what I have locally. 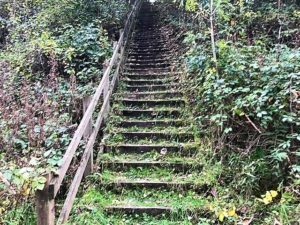 Whether it’s a rough farm track that is great for mile-long hill reps, or the amazing up-and-down flights of steep wooden steps that I’ve found, I’ll be there! 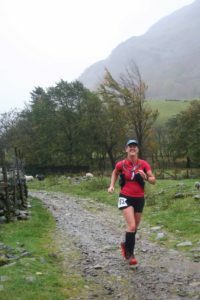 And of course, whenever I can, I’ll be heading off to the Peaks, Lakes and Dales to give my training a boost. I’ve also given careful thought to which other races I’ll do in my build up. There are so many out there to choose from that I could be racing every week but I need to be careful; staying fit and injury-free is key, so I’ve been picky. If the Lakes Traverse is my A-race, all of the others are Bs and Cs; I’ll be taking part, but not ‘racing’ as such. 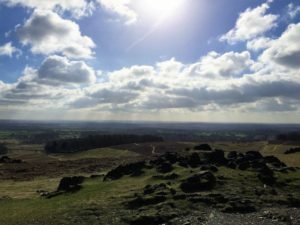 From ‘Exe to Axe’ (20 miles and 4000ft of ascent along the coast path in Devon) to the Charnwood Hills race (the only fell race in Leicestershire! ), I’m looking forward to them all. I’ll also be carrying on with my strength work, with everything that I do being running and off-road specific, and keeping up with my well-established Pilates and stretching routines. Coupled with eating well and sleeping lots, they will be just as important as all of the running in getting me to the start line in great shape and raring to go.So, in a nutshell, that’s my next 6 months sorted. There will be ups and downs along the way, I’m sure (both literally and metaphorically), but I’m excited already and looking forward to the training challenge ahead, and the rewards that will come on race day.